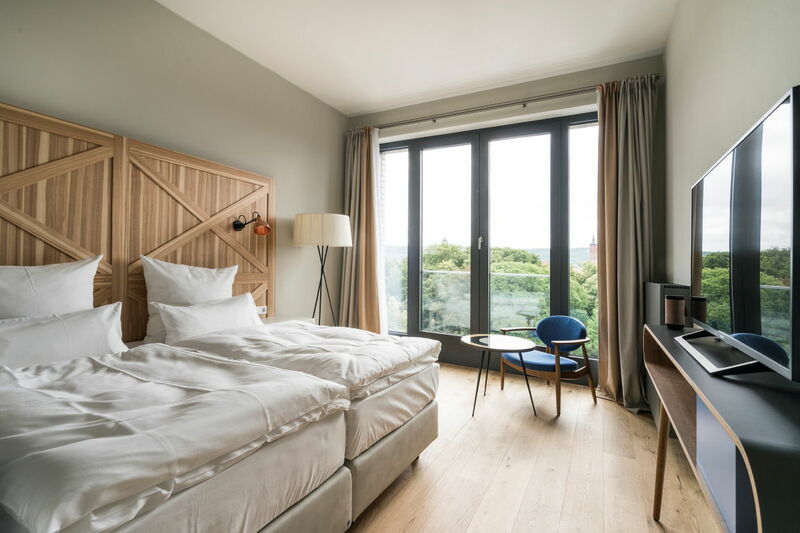 Opened July 1 in the central German city of Göttingen, Hotel Freigeist Göttingen is a hive of creativity and inclusion. Conceived by hotelier Georg Rosentreter, the 118-room property is rooted in the city’s legacy as a place for academics, philosophers, and radical freethinkers. 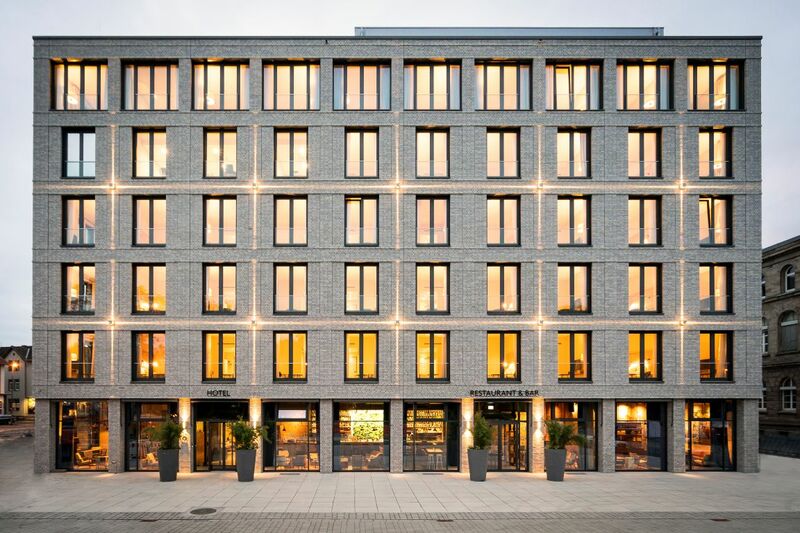 Here in the district of Groner Tor, the newly built property is embodying the spirit of cultural vibrancy one would expect from a thriving student town. Guests will be enchanted by an abundance of green areas that link the hotel to the cultural sector—which includes a museum, the university, and its soon-to-open ‘’Forum Wissen’’ (Knowledge Forum). 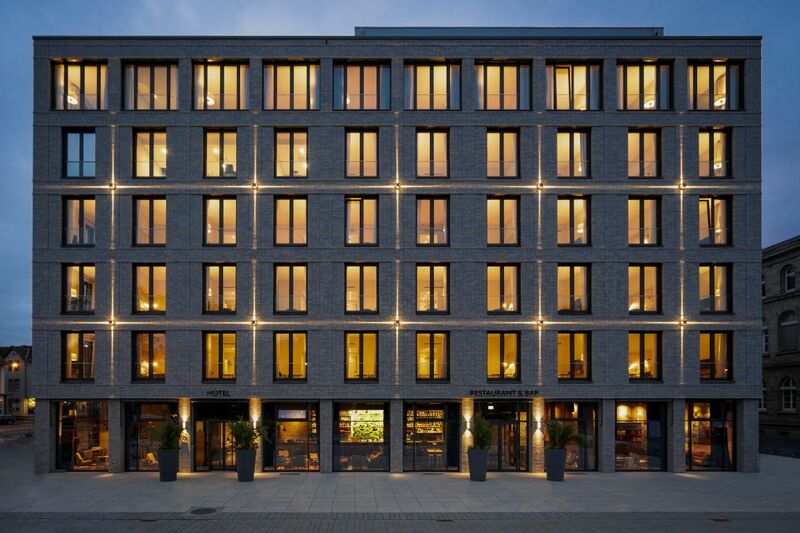 The Hannover-based firm Ahrens & Grabenhorst Architekten is responsible for the architectural aspects of the new-build project. Signature elements, architecturally speaking, are an interplay of the new buildings in the emerging district and the historical sandstone structure of the university and it’s new “Forum Wissen’’ (Knowledge Forum), opening in 2020. 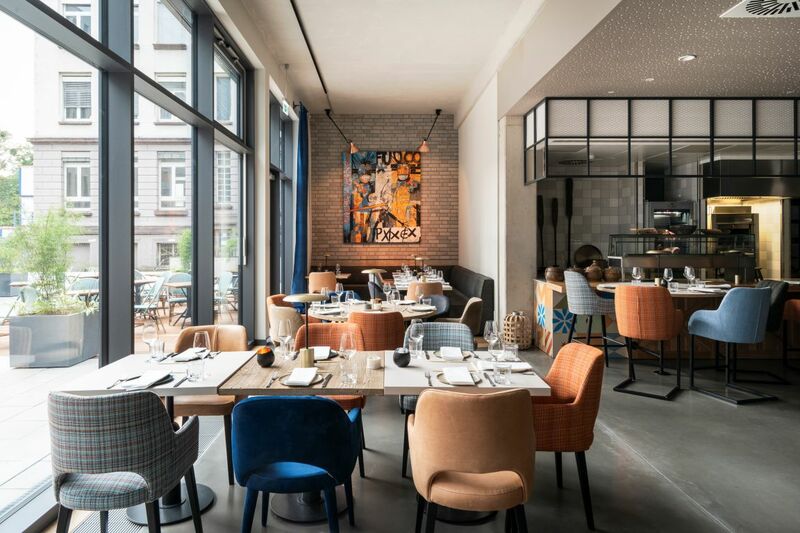 Inside, Original Georg Rosentreter and designer and artist Frank Kassner have deftly orchestrated the interior design and artistic foundations that are central to the concept. Originally a painter, he has taken primary inspiration from famed American artist Jean-Michel Basquiat. 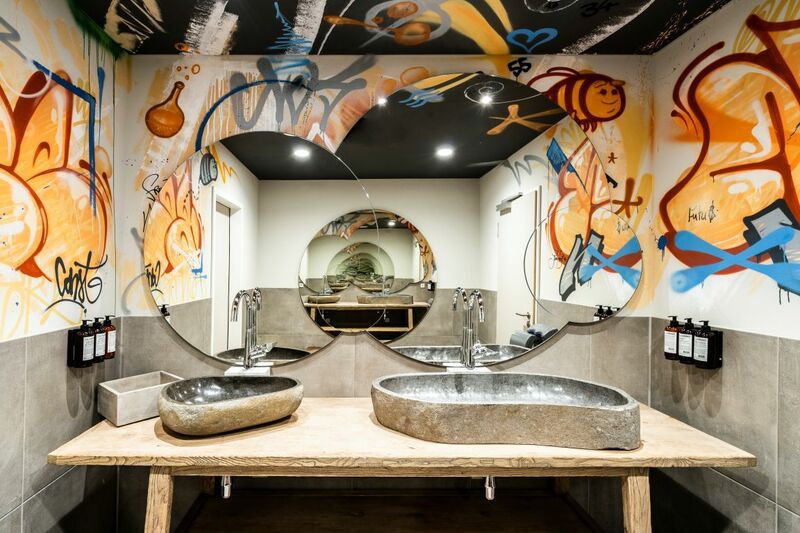 Graffiti works by Patrick Wolters (aka BeNeR1) imbue the hotel with creative whimsy and create an environment ripe for exchange. 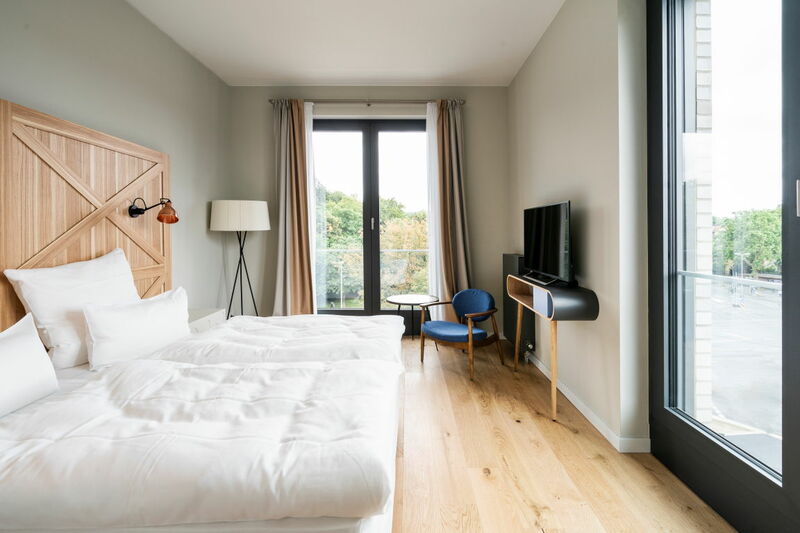 Rooms and suites are sleek and Nordic in sensibilities, ranging from 24 to 61 square meters, and all feature oak floors, standing lamps by Santa&Cole, cool slate-gray wallpaper, and elements of natural wood. Floor-to-ceiling windows dominate the eyeline, with views across Göttingen from most room categories. 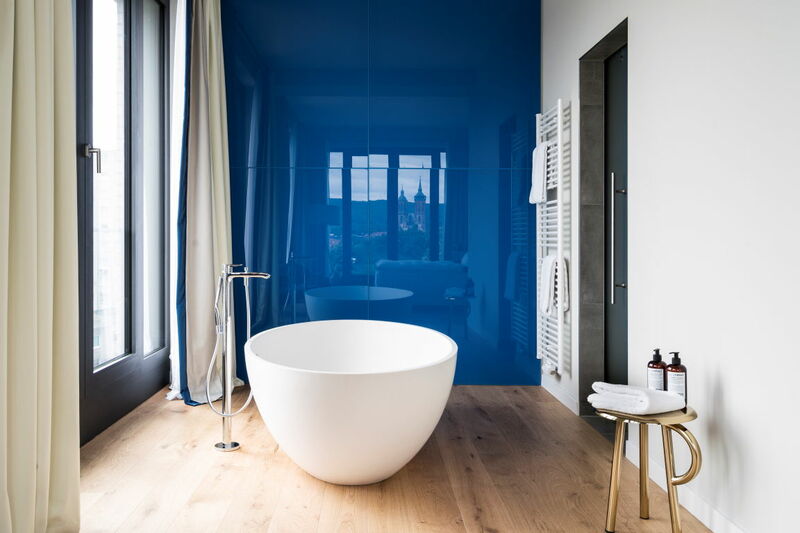 The signature Freiblick Suite is a spacious 61 square meters, with a king size bed, freestanding bathtub, a full living room area, and stunning fifth-floor views. Organic amenities by L:A Bruket mean natural and non-toxic in-room pampering, while guests are also encouraged to take full advantage of the Finnish panorama and infrared sauna. The fourth-floor spa area boasts a full cardio room and weight room, along with yoga facilities, a “Fatboy’’ relaxation lounge, and a 300 square-meter rooftop terrace with real sand. 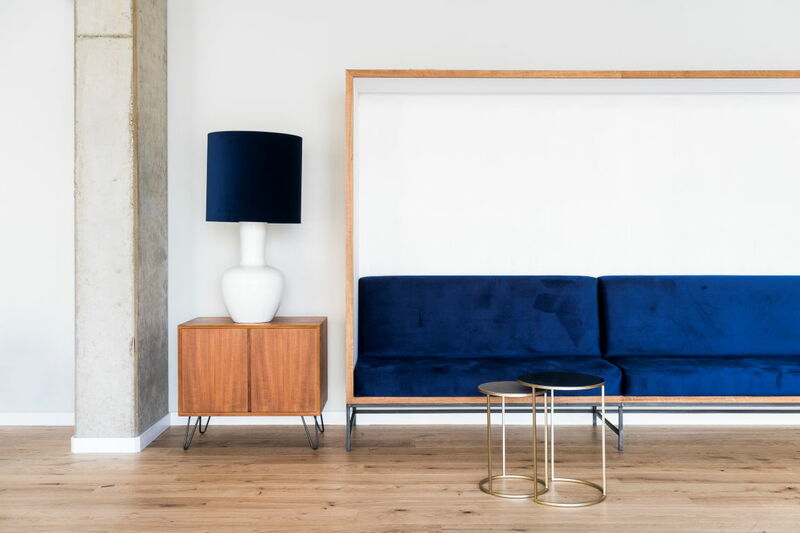 Public spaces foster the communal spirit with clustered seating areas of oversized armchairs and blue velvet sofas. Colored Moroccan cement stone tiles feature prominently in these areas, as does the use of blue glass. Custom-designed carpets by Nani Marquina are the hallmarks of the ‘‘Wohnzimmer’’ event space and also in the suites. The Japanese-South American ‘Intuu’ headed by Alexander Zinke means an abundance of sushi, sashimi, ceviche, and the addition of a Josper Grill ensures the highest level of execution of grilled meats and fish. An open kitchen concept puts the sushi chef at center stage, and guests can choose seating in the bar, restaurant, chef’s table, or exterior terrace located in the inner-courtyard. Here, the eyecatcher is an overseas container—now home to the Container-Bar. 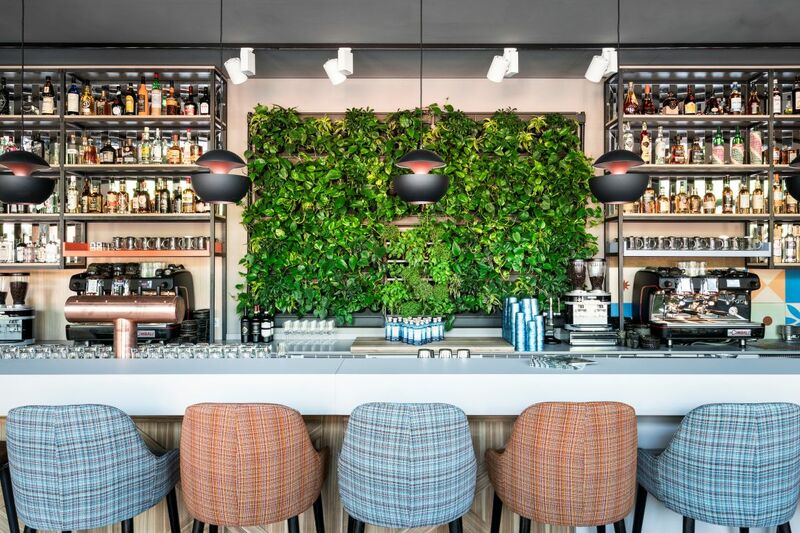 The Herbarium Bar is a nod to the area’s botanical ties and sets the scene with a concept by Belfast-based bar aficionados “Drinksology®️’. The team has won awards for both the design and concepts of “The Death Rabbit” and “Blacktail” Bar in New York, and have put a focus on gin cocktails, especially those crafted from the house-made Von Hallers Gin. A copper fireplace in the Herbarium Fireplace Lounge draws guests in for lingering cocktails sessions accompanied by rousing conversation. 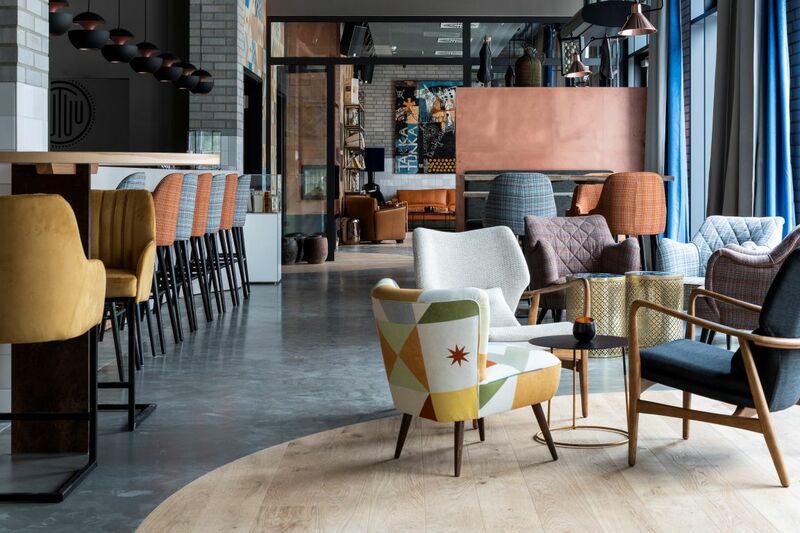 Six events spaces cap off the full-service approach here, where a “Kreativfoyer’’ open kitchen connects the multi-purpose spaces ideal for exchange, talks, inspirational meetings, tastings, show-cooking, and team building exercises. Design Hotels represents and markets a curated selection of over 300 independent hotels in more than 60 countries across the globe. More than a collection of hotels, the company is a collection of stories. Each property reflects the ideas of a visionary hotelier, an “Original,” someone with a passion for genuine hospitality, cultural authenticity, thought-provoking design and architecture. Each “Original” stands for the individual, aesthetic and service-driven experience that his or her hotel provides.